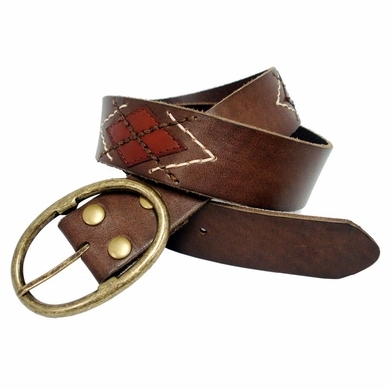 1 3/4" Wide 100% Genuine one piece Leather Belt. 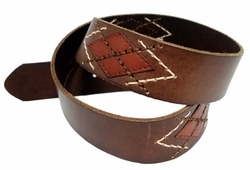 The belt is a dark brown with complementary stitching designs for a unique look. Our belts are measured from where the leather ends at the buckle end to the middle hole at the tip end.